Selecting a favourite from his songs is a difficult project, can you opt out the devout yearning of Woh Subah Kabhi To Aayegi, the heart wrenching Ae dil e nadaan, the fervid Tum apna ranjh o gham, the romantic fun of Thehriye Hosh Mein Aa Lun or the love poem of Kahin Ek Masoom Nazuk Si Ladki? Khayyam stands out with his resplendent performances. The light delicate melodies haunt the audience. Statistics do not budge him. His creativity is held in high esteem. He’s often praised for the spotless musical harmony in his songs. Khayyam never compromised on quality. Hence, he has that creative satisfaction leaving permanent impression on his followers. Like Kundan Lal Saigal, Khayyam wanted to become actor-singer. He ran away from his house at a young age of 11 to fulfill this dream. Starting his film career under the pseudonym Sharma ji, mostly because of the political unrest during 1947. He then changed to his own name Khayyam when he was offered Footpath (1953). Apart from acting and music, poetry and literature had always fascinated him. A simple down to earth person, Khayyam also played instruments like harmonium and piano. For the man who began his career in late 40s, recognition in form of award came in the late 70s. Isn’t that too late to appreciate a talented person like Khayyam? It must have been so distressing at times. But the man never gave up. His honey coated golden melodies which were pushed behind the curtains of other popular songs of that era, are being heard extensively now (those from 50s and 60s) but would it really matter to a nonagenarian now? If we look at it, Khayyam and Jaidev have so much in common. They remain the unsung heroes, they never compromised quality with quantity, basketful of melodies by both these musicians got wasted with the obscure movies they worked for and both the composers gave songs which were mostly women oriented. Apart from film music, Khayyam has given music to some non-film albums also. 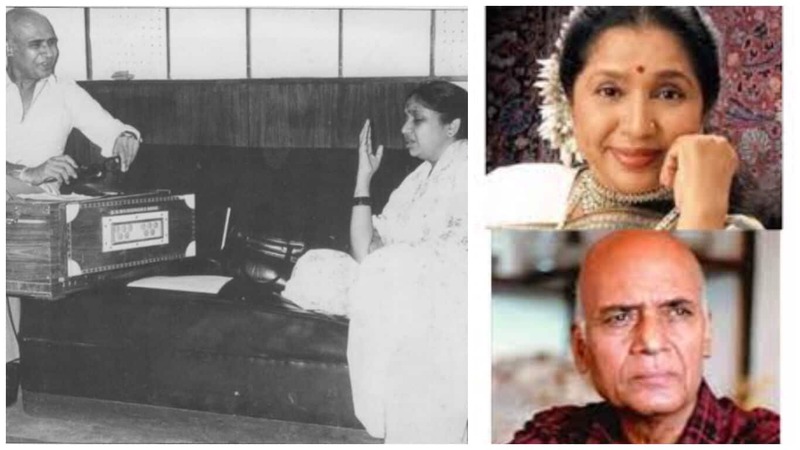 Major among them being Meena Kumari’s poem recitation – I Write, I Recite. 80s was the time when Hindi film music was bubbling with the disco numbers. The effervescent 80s music had taken the country by storm. There were angry young men flexing their muscles on screen hinting that there was no place for music in the films. The music scenario saw the nadir with the South Indian remakes, when the jacks were jumping with the heroines half their age. It was all about glitz and glamour with the music van steering in altogether different direction. Even when the society was gyrating to some of the best disco songs in the 80s, Khayyam was happy with his slow, sedative melodies because he knew they had an everlasting effect. With Umrao Jaan (1981) he was at the peak. But Khayyam never capitalised on his success. His career graph has been always recurring. Always worked on his principles and his own terms. Undeterred, unmoved towards success and failure equally, Khayyam has always led a quiet life. According to him God has been equal in giving man everything, it is the man who is lacking in his search. This very philosophy reflects in his melodies making them haunting and everlasting including those from the 80s. 1. Thodi Si Bewafai (1980) – A beautiful separation number rendered by Lata Mangeshkar and Kishore Kumar, lyrics by Gulzar. 2. Chambal Ki Qasam (1980) – A lovely duet by Lata and Rafi, that too at the beginning of the 80s. 3. Umrao Jaan (1981) – A scintillating soundtrack on the whole, which won him a National and Filmfare Award. 4. Nakhuda (1981) – Another lovely album which has a mixed bag of various singers. It shows how Khayyam loved experimenting and thus had confidence on himself. 5. Dard (1981) – A beautiful, beautiful album again. A fine example of maximum melody, minimum music even in the 80s. 6. Ahista Ahista (1981) – A refined example of melody, rendered by Sulakshana Pandit. 7. Dil-e-Nadan (1982) – A romantic evening number by Lata Mangeshkar and Kishore Kumar which has melody dripping from all corners. 8. 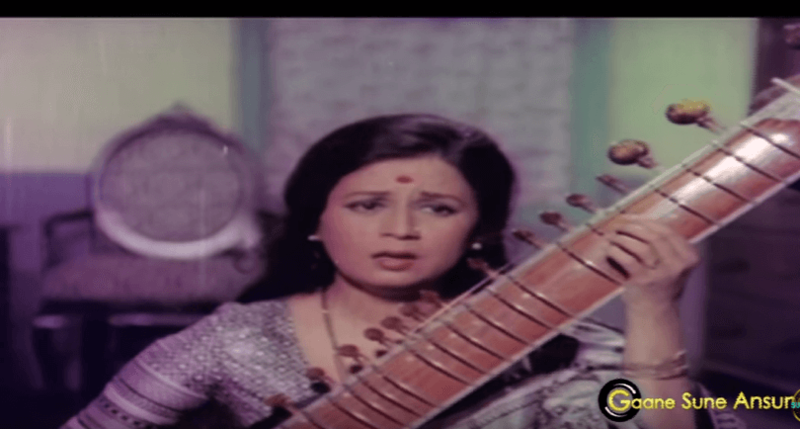 Bazaar (1982) – How melodious can a ghazal be? 9. Razia Sultan (1983) – Another example of his confidence with melody, experimenting with the unusual voice of Kabban Mirza!! 10. Lorie (1984) – A lovely use of stringed instruments, Khayyam quality intact. 11. Anjuman (1986) – A film dedicated to Faiz Ahmed Faiz, having Muzaffar Ali, Shahryar, Khayyam, what else does one need? This particular ghazal rendered by Shabana Azmi and Bhupinder Singh. 12. Ek Naya Rishta (1988) – A dipped in romance, dazzling song rendered by Lata Mangeshkar and Bhupinder Singh, lyrics by Nida Fazli. I very much regret that I read this excellent article only now, because it reflects everything that I myself perceived and admired in the maestro Khayyam. (I am 83 and, crazy about Retro Hindi Film Music). Your drawing a parallel between Khayyam and Jaidev is a very discerning observation. While appreciating Khayyam’s compositions, I made a very interesting discovery that elevated my already very high regard for him, manifold. Khayyam never tied himself to one or two lyricists( unlike almost all other Bollywood composers). In fact,he went out of the way to choose poets practically unknown to the Bombay Filmdom. Take ‘Bazaar'(1982), for instance. Four different poets for as many songs! And, all of them distinguished ones, including the local (Hyderabad), esteemed Maqdoom Mohiuddin. For ‘Umrao Jaan’ he roped in Shahryar ( Akhlaq Mohammad Khan) and gave him all those beautiful ghazals to write; and what a fantastic choice that was! In a similar fashion, he picked Talat Aziz to sing ‘Zindagi jab bhi’ in Umrao Jaan and ‘Phir chidi raat’ in Bazaar. In either case, no other male voice of the day would have suited those ghazal better. He also called up Bhupendra to render’ Karoge yaad toh’. Could even Kishore or Rafi have sung it with such pathos? And again for ‘Kabhi kisiko muqammal jahan nahin milta’ in Ahista Ahista. I can go on with many more examples as in ‘Razia Sultan’, where he had the lyrics written by eminent poets such as Jan Nisar Akhtar, Nida Fazli, Kaifi Azmi and Kaif Bhopali, and Kabban Mirza to sing a couple of the songs. 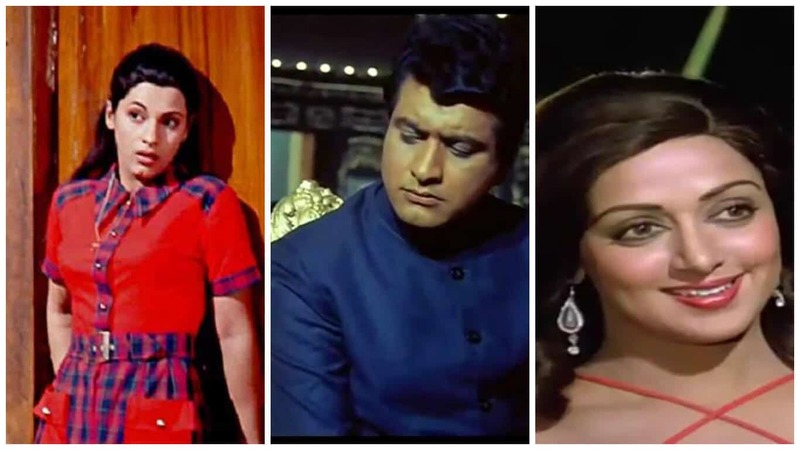 There is no parallel in Bollywood music composition to Khayyam’s meticulous selection of lyricists (often several for a single movie) to suit the theme, the occasion and the tune. He is simply a GENIUS. Now to Jaidev: He too ventured to do the unusual in creating great songs: his selection of Shahryar for that soulful “Seene mein jalan’ in Gaman, picking Suresh Wadkar to sing it and also, Maqdoom Mohiuddin for ‘Aapki yaad aati rahi, raat bhar’, just like Khayyam. Jaidev was a very gifted composer but sadly, Bollywood only had time for the likes of SJ, LP and others. I am very happy to have read your article on Khayyam and also to have been able tp contribute my own remarks here. Thank you.